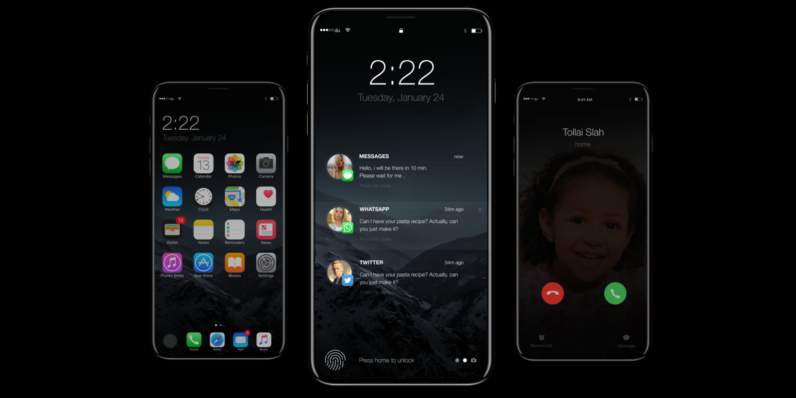 Apple has long been rumored to be working on a much-anticipated upgrade that will see the iPhone 8 pack a new and improved OLED display – and now it seems it could be Samsung that will supply the panels for the next-generation iPhone. South Korean outlet The Investor reports the Big A has purportedly reached an agreement with Samsung’s display division that will see the Korean competitor put together a total of 160 million OLED panels for the iPhone 8. The two industry titans already had a deal for 100 million units, but this latest report suggests the Cupertino giant has extended its manufacturing agreement up to 160 million screens. As of now, the timeline for the order remains unclear. The Investor further remarks that while previous rumors hinted the upcoming iPhone could arrive in three different sizes – with a premium version featuring an OLED panel – the expanded order could be an indication the OLED screen might land on the other models too. Samsung currently has a tight hold of the OLED screen market, producing 95 percent of the total supply worldwide. More recently, compatriot rival LG has set sights on ramping up its OLED panel production efforts with aims to supply screens to Apple in the near future. Given the radical design changes expected in the iPhone 8, Apple was recently rumored to be gearing up to start production for its next-gen flagship handset earlier than expected. Among other things the revamped iPhone is slated to also feature wireless charging.